A University Don, Professor Momodu Kasim-Momodu, Law Dean at Crescent University, Abeokuta recently lauded the eminent lawyer, Mr. Paul Usoro, SAN for his giant strides in the industry. The Professor made this known at a breakfast meeting in honour of Paul Usoro organised by the Young Lawyers Forum (YLF) of Kano, Ungogo and Dutse branches. Speaking at the meeting, he hailed Paul Usoro for his exceptional and excellent skills over the years having one of the finest law firms, Paul Usoro & Co., that is known to hire young lawyers taking them through thorough pupillage and mentorship. In review of the exploit of the learned silk, the University Don called on fellow academia and other lawyers in the country to choose Usoro as their candidate for the next President of the Nigerian Bar Association. “I have had faith in him from the first day I heard about his ambition to lead the NBA. I had never met him but I went online to read about his works and they are simply exceptional. Paul is a bar man that has the potentials to give us an Association that will put you and your dreams first”. 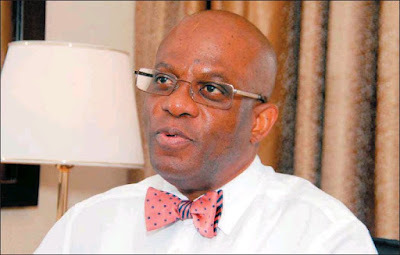 “A vote for Paul Usoro is a vote for yourself – if you vote for Paul Usoro, you are voting for your interest as a lawyer and you are also voting for the overall interest of the legal profession”, he enthused. Notable personalities at the breakfast meeting include Alh. Tajudeen Oladoja (Life Bencher), Ibrahim Shehu, (YLF Chairman, Dutse branch), Abdullahi Musa Karaye, (YLF Chairman, Ungogo branch), Mukhtar Bello Shehu (YLF Chairman, Kano Branch), Ahmed Khali (YLF Chairman, Yobe Branch) among others. In the same vein, as part of his agenda to have an inclusive bar, Usoro recently paid a courtesy visit to the law teachers of the Rivers State University of Science and Technology, Port Harcourt during the 2018 conference of the Section on Legal Practice of the Nigerian Bar Association (SLP NBA) held in Port Harcourt. Addressing the law teachers, Paul Usoro said, “My coming here is to reinforce the belief that the bar under my leadership will work together with the academics to provide solutions to the myriads of problems facing legal practice in Nigeria. The academics are well placed to research into those problems and proffer solutions”. In the euphoria created by the visit of the bar man, the Dean, Faculty of Law, Rivers State University of Science and Technology, Port Harcourt, Professor Nlerum Okogbule expressed the support of the academia to vote Usoro as the next NBA President. “We commend your foresight in the industry and we are impressed to have you speak to us at this conference. We would support you because we need innovations in the NBA. The bar needs somebody like you to lead the Association and you can be rest assured of our support”. Paul Usoro is a visionary leader with the right temperament to unify all. He is a truly detribalised Nigerian with strong connections to all the geographical zones. Born in the East – South East, educated in the West, practiced in the North, now headquartered in Lagos with branch offices in Abuja and Uyo. He is a consummate professional and leader you can trust.